Summer and Sunglasses go together like sunshine and vacation! We all need a great pair of glasses to complete our style. There are a lot of trends for Spring 2016 to choose from. Trends are fun but they can also be confusing. 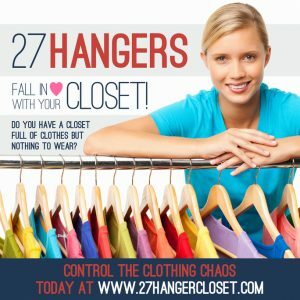 Here are a few tips and suggestions to help you choose the best look. 1. Oversized with color, glitter, shape, and size! Look for styles that are oversized, but keep in mind that the size should fit your height and proportions so that you look chic and stylish while not getting lost in the latest trend! Eye makeup look should be simple with a slight shimmer. Add eyeliner and mascara to open up the eye area and a touch of shimmer shadow to the bottom lash to give brightness to the eye. Load up on mascara at the roots. Use an eyelid shield or tissue to protect the lid. Push mascara in at the root. Make sure to curl the lashes twice. Once at the base and again at the tip of your lashes. 3. Shapes and Glamour are IN! There are all kinds of shapes to choose from this summer! There are everything from circles to rectangles to cat eyes and butterfly shapes. You will find solid colors like red, green, and blue frames. You’ll see embellished frames with glitter and gems and wire frames that bring back the ’70’s appeal. Make sure whatever you choose is complimentary to your face shape, skin tone, and eye color. Square Face Shape- Someone with a square face shape needs to wear a round shape, cat eye shape, semi-rimless, or a narrow oval shape. The opposite geometric style is always more attractive to every face. Oval Face Shape- Try geometric shapes like a rectangle, cat eye, and butterfly shape. The goal is to keep the balance of your oval face. 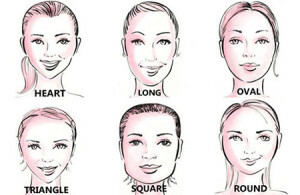 Round Face Shape: Choose an angular look. Look for an octagonal, rectangular, or square shape in complimentary colors. Wearing a geometric shape will make your face appear slimmer. Heart Shape Face- This eye glass shape needs to be wider at the bottom than they are at the top. This will give your face balance. Try the cat eye style. Avoid frames that are decorative at the top! 5. Fit and color are everything! Never let your frame cut through the eyebrow area. Glasses should rest on your face below the eye brow. Your eyes should be centered in the middle of the lens. If your eyes are off-center then the glasses maybe to large for you. Some complimentary colors are brown, bronze, gold, or silver for women and men with light to medium hair color and eye color. People with dark hair and fair skin or dark hair and a deep skin tone should try black or colored framed glasses. 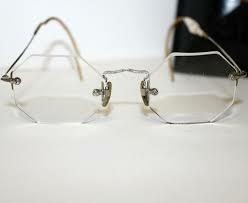 Some eye shapes look better in rimless glasses or semi-rimless styles. Men and Women with silver, salt and pepper, or ash colored hair and a pink undertone should always wear silver rimmed glasses to compliment their hair and skin tone. « Do you LOVE Denim?